Virtually everyone you ask would likely prefer to buy a new car rather than one of the thousands of used cars in O’Fallon. While a new vehicle certainly does have appeal, it is simply not a practical choice for most of the population. Why spend all that extra money when you can get the same amenities for a substantially reduced price? Insurance premiums and taxes will be less than that of a new auto. A used car only depreciates slightly and then not at all as it ages. This is significantly different than a new model that loses value as soon as it is driven off the car lot. Maintenance costs are usually higher on a used car, dependent upon its age and condition. A well-maintained vehicle typically lasts for many years and many miles. A vehicle history report will provide information about maintenance services that have previously been completed on the car. 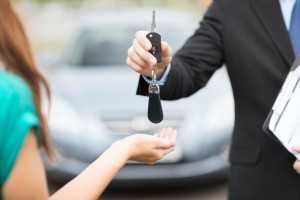 A good credit rating will allow you more choices regarding vehicle make and model. However, a less than favorable credit score will still allow you to buy a reliable car. There are even options for auto financing after repossession or bankruptcy. Your down payment is most often received in cash, but a trade-in may be possible. 5 Star Auto Plaza is an industry leader in sales of premium used cars in O’Fallon and nearby communities. Check out our current inventory by calling (636)940-7600 or visiting the dealership.